We try to eat organic whenever possible. We can't do everything organic because that just doesn't fit into our budget. We are able to buy some produce from a couple local companies who make deliveries. One company delivers to a school and one company delivers directly to the home. I'm not doing the one that delivers to our home right now because it just got too expensive. It also seems like the company that delivers to the school is going through some changes as well. I DID place an order this week though. I spent $30 this week and just got some basics. Here's what I got for my $30. 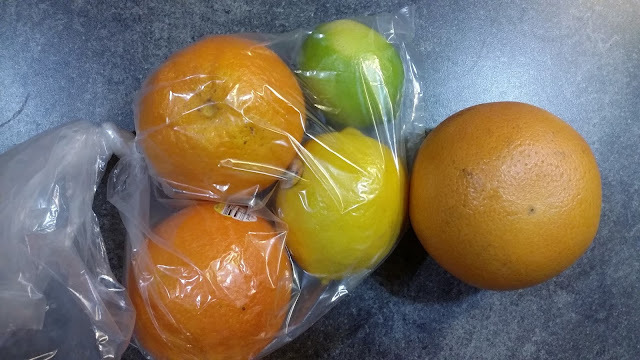 1 organic grapefruit, 2 organic navel oranges, 1 organic lime and 1 organic lemon. 4 regular avocados. They were supposed to be organic, but I guess they didn't have any. That's okay. 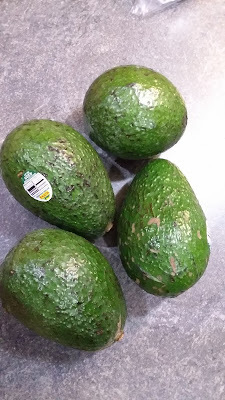 I love avocados! 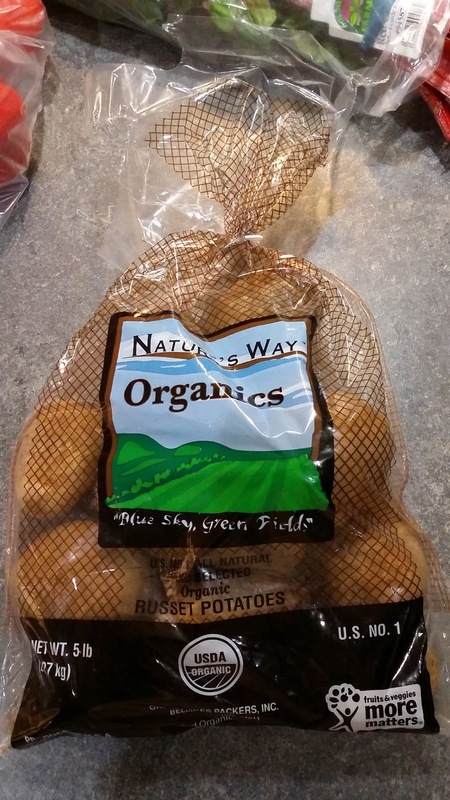 3 pounds of organic Russet potatoes. 3 organic red peppers and 2 one pound bags of organic baby carrots. 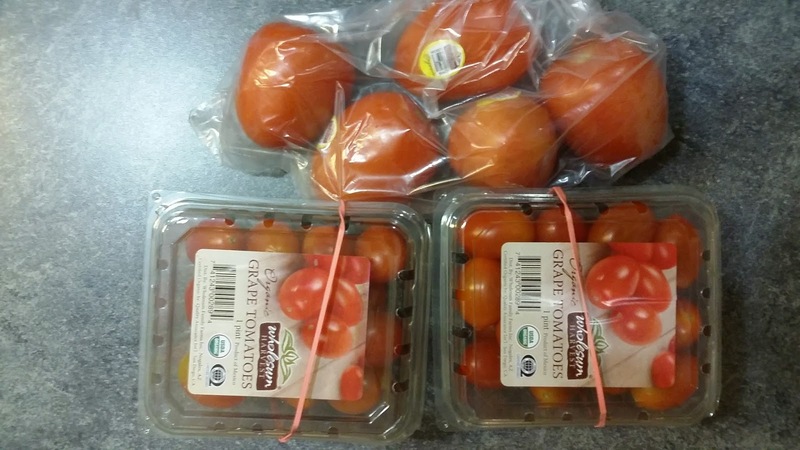 5 organic plum tomatoes and 2 pints of organic grape tomatoes. 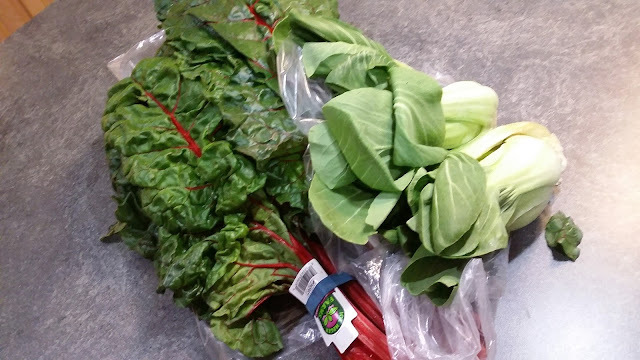 2 huge bunches of organic red chard and 3 organic baby bok choy. 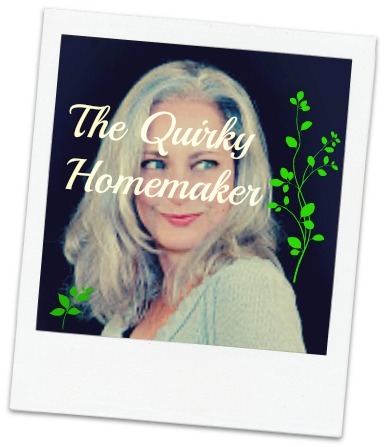 We love baby bok choy in the Quirky Kitchen! Now, if my body would just recover from this stomach virus, I could eat up all my organic goodies! About the only thing that sounds good right now is some of the citrus. . . . which is weird right??? You wouldn't think all that acid would be good. But I've got some Spring Mix in my fridge that turns my stomach every time I look at it. So, I don't think green leafy things are gonna be good for another day or so. 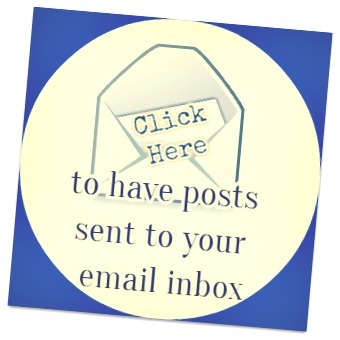 Do you try to stock your kitchen with organic produce? 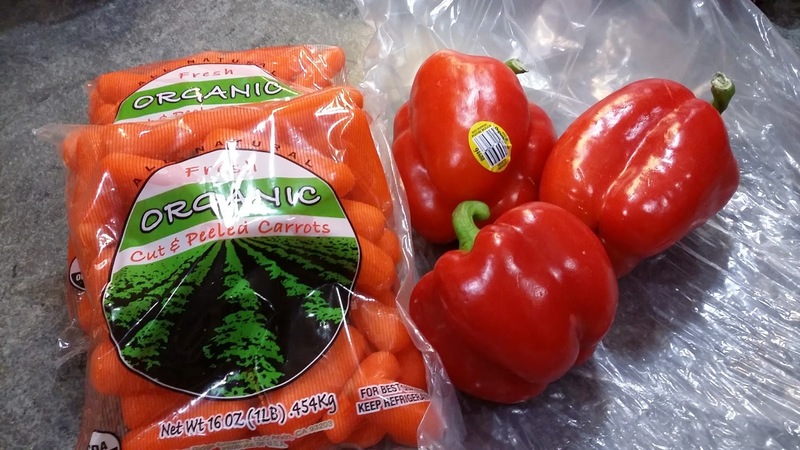 Your organic fruits & veggies look good. I am picking some bok choy & carrots from the garden and will be making some veggie stir-fry. Have a great weekend! Don't you just love bok choy? How awesome that you can pick it from your garden!! Thanks for stopping by!